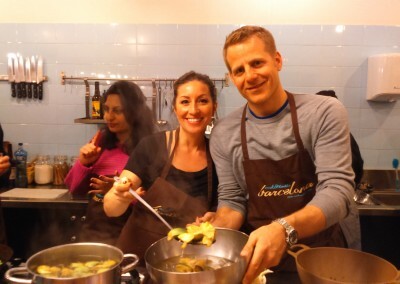 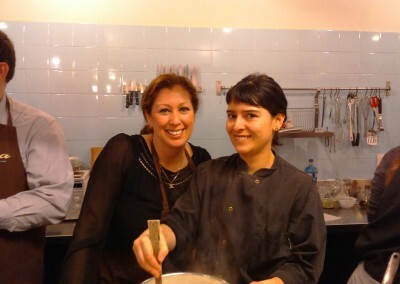 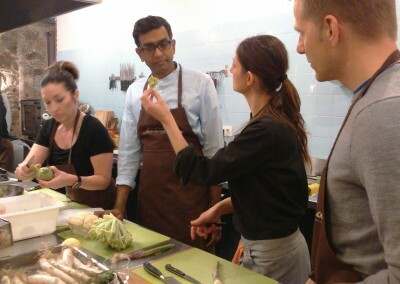 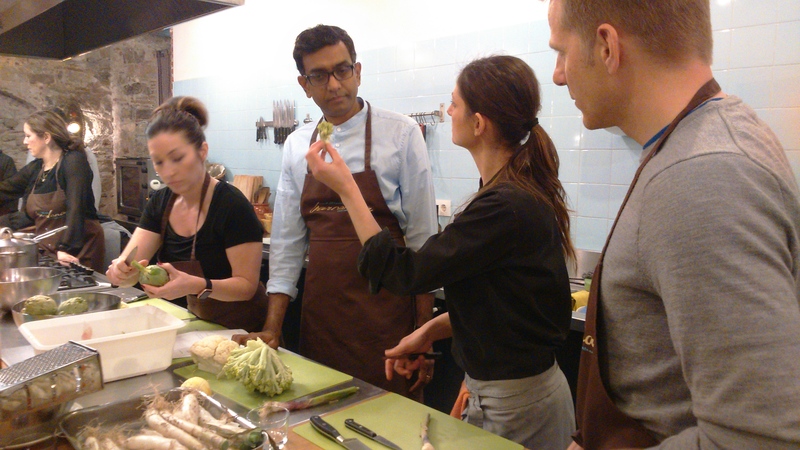 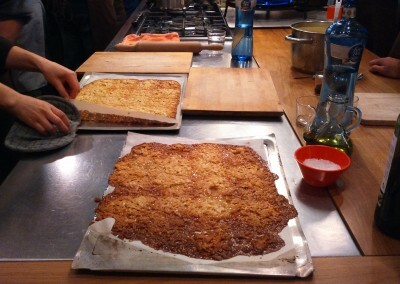 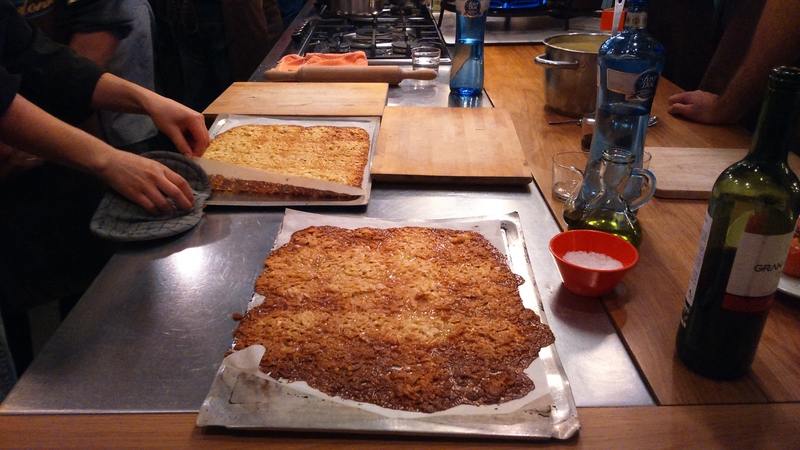 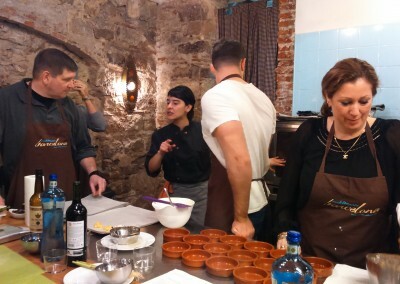 Cook and Taste hosted last 25 February, a Master Class of Mediterranean Cuisine organized in Barcelona by Obrint Via. 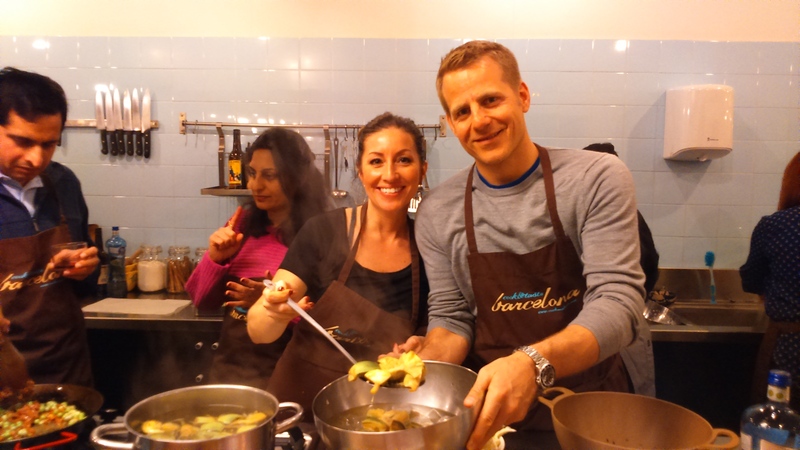 The 16 participants in this workshop, Facebook employees arrived from California on the occasion of the Mobile World Congress 2016, learned to cook some of our traditional dishes. 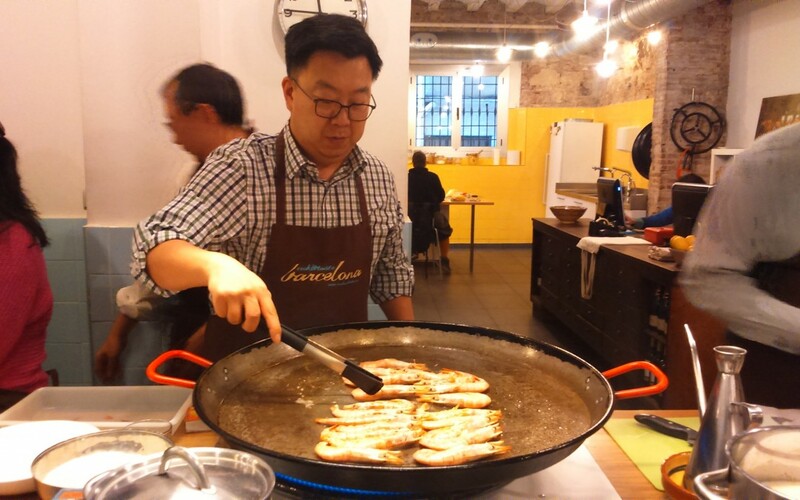 After a guided tour through the streets of Barcelona, attendees reached the “Boqueria” Market to buy the ingredients needed for cooking. 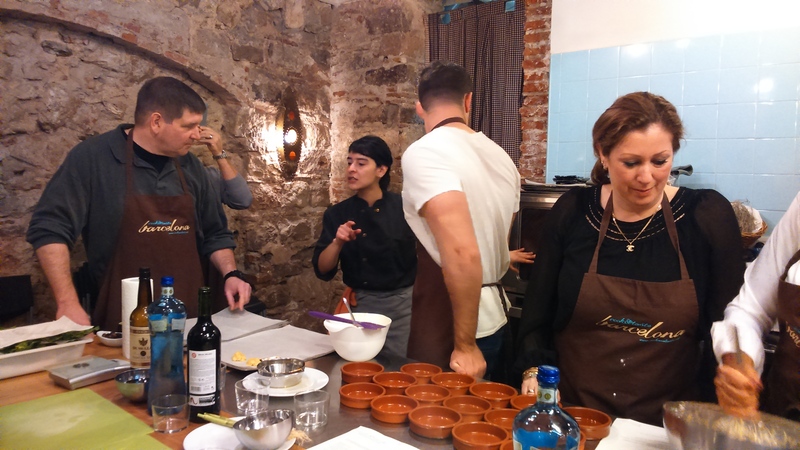 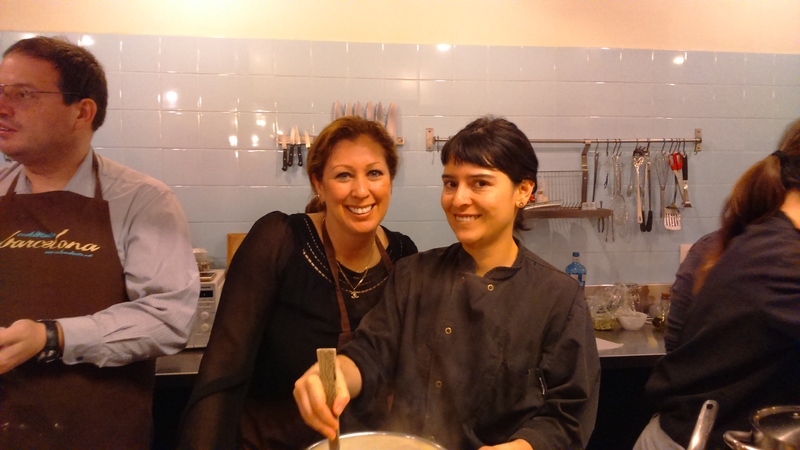 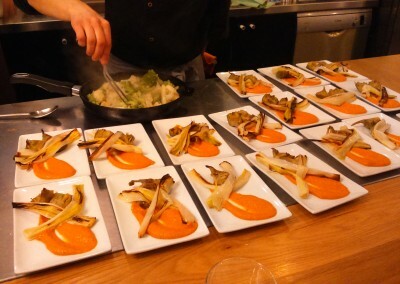 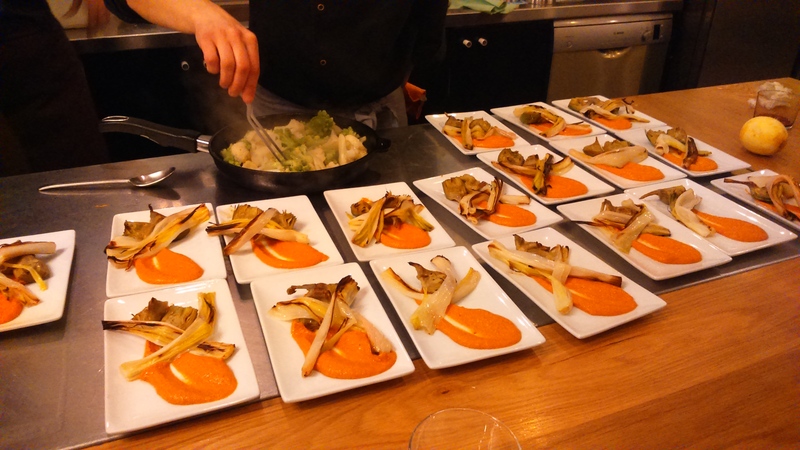 Aided by two chefs, Rosa and Maria Jose, participants were divided into small groups and developed three different dishes of Catalan cuisine: “calçots” with “romesco” sauce, seafood paella and catalan custard cream with crunchy orange.